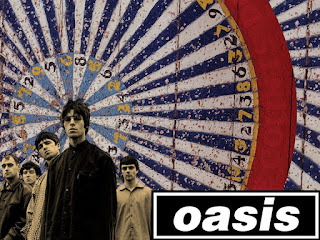 The Sugar Club in Dublin, Ireland are hosting an Oasis night featuring a live Q&A with Tony McCarroll talking about the making of Oasis' iconic debut album 'Definitely Maybe'. The official event page states: "In this candid and hilarious live podcast event, Tony tells one of the most in-depth rock 'n' roll stories of modern times. He reveals the truth about the early years before the band was even formed; he tells of the drinking and drug consumption. Plus, he talks of his much-publicised rift with Noel Gallagher. Tony's recollections include stories involving David Beckham, Prince, Eric Cantona and John McEnroe." There's also going to be a screening of Supersonic and a DJ set. The event takes place on March 30th more information and tickets can be found here.